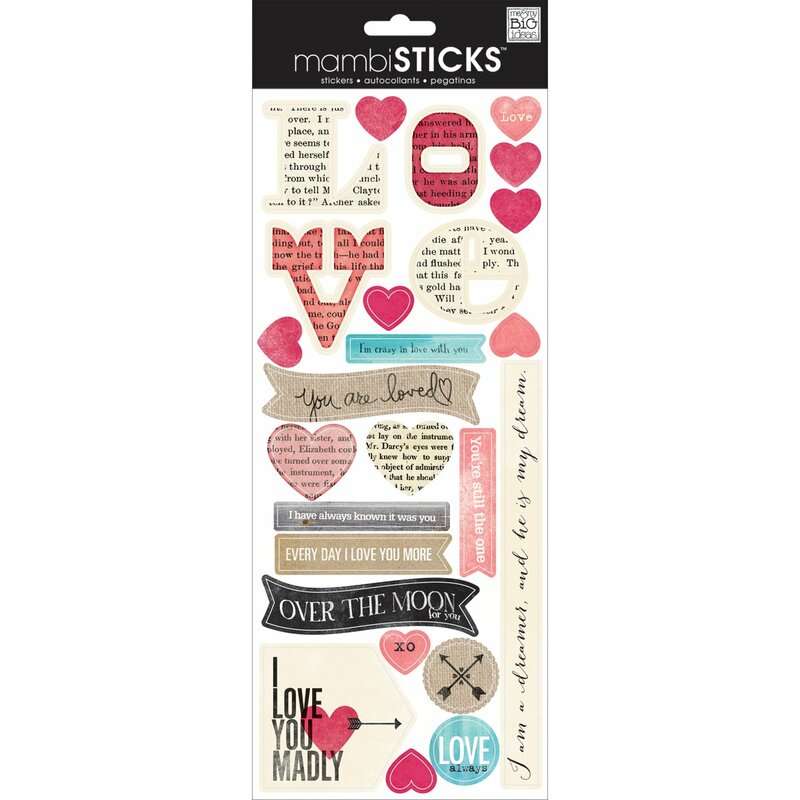 Me & My Big Ideas-Sayings Stickers: Love Newsprint. The perfect addition to all your paper crafting projects! This package contains twenty-five stickers on one 12x5 inch sheet. Imported.